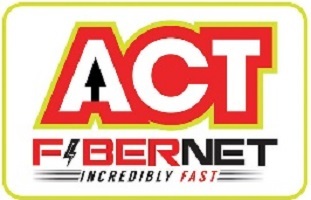 Act Fibernet who is flaunting there 99% uptime for their business users and charging over Rs.3000 monthly for business plans, has failed to keep up its uptime promise. From 18th of June 2018, I have been constantly in touch with their customer service, who just keeps giving me 4 hours resolution time, and by end of the day, no connection. Terrible and ridiculous service by the ACT enterprise/ business team, and you can rely on them alone if you’re running a software or internet-dependent business. The worst thing is, they promised priority support for this business plan, and they are putting us on waiting for 10-15 minutes on average like any other home Act broadband customer. Where is the business promise for which ACT charges us 5 times than home broadband? No priority support, No 99% uptime and the not even single person has visited our office in last 4 days. As of now, connectivity is down in Madhapur Hyderbad, and probably some other areas as well. I see no reason to continue with ACT Fibernet business/enterprise/SME plans at all.